Saulius Skvernelis presented the government programme already in early December last year. The programme implementation project was presented to the majority and ministerial cabinet on Monday. 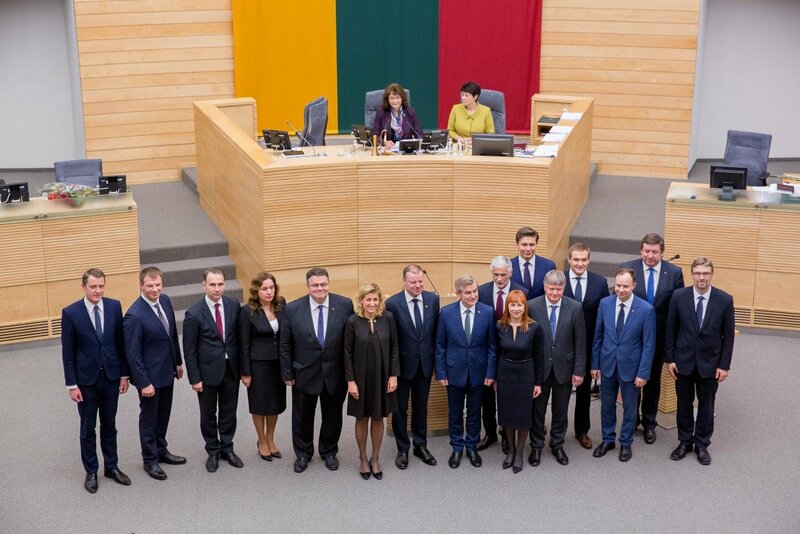 It was not revealed to the public, on the Prime Minister’s request, members of Seimas who attended say. This sort of secrecy raises questions. Today the programme implementation project will finally be revealed to the public. Prior to this the tv3.lt news portal spoke to politicians, who got to see the plans and priorities of the project. Lithuanian Farmer and Greens Union member Tomas Tomilinas says that the project did not surprise him, he had participated in creating it for a number of months. “The overall impression looks normal. It is a good project, in almost all ways it is based on the government programme. There are many details and metrics. As there should be. There are certain new features, but this is natural, life moves on and it is not that the priorities changed, but certain measures become more or less relevant. This is normal. Everyone works in their own sphere and the proposals are not made last minute. I started working on the plan with the Ministry of Social Security and Labour several months ago. I feel I have contributed to preparing it,” Tomilinas stated. When asked how their coalition partners received the plan, the politician did not conceal that the Social Democrats received it with goodwill. “As far as their statements go, they definitely spoke twice as much as our group. But their statements were very positive and pointed out a number of factors. Overall I definitely saw much goodwill. This was not an impression that the plan is unsuitable in some way to them or not adhering to the government programme. Of course in such discussions the most difficult questions were those of pension reform, where we do not yet have a final answer,” he said. When the government programme was presented to Seimas, the opposition was highly critical of it lacking specifics and being ambiguous. According to T. Tomilinas, who participated in preparing the plan, the project now has specifics. “What matters most is what we want to change and what indicators of progress we use. That has definitely appeared. I have not seen any government programme implementation plan that would be so specific, as to how to change social indicators. They are not at all surreal in any way, the measures which will best contribute to making changes were chosen. This means that we will only be doing that which truly changes life, instead of how it was usually, where it was processes in the name of processes,” the “Farmer” representative said. Nevertheless the politician is dissatisfied with the cabinet chancellery’s decision to not reveal the project to the public for several days now. “This is a matter of public relations. I have some questions regarding the publication process because really, if it was distributed yesterday, then it should have already been publicised. There are already too many people who know about it, for us to wait for something. It is normal that we consult with our coalition partners, this is good procedure. I believe that publication should have been paired with a public release and distribution of the project to us,” he told tv3.lt. The leader of the Homeland Union – Lithuanian Christian Democrats and its Seimas group prefect Gabrielius Landsbergis was not as convinced by the project being more specific. According to him it has too many different tasks and goals and in them, Landsbergis claims, the government will be left confused. “In one document we have place for state owned enterprise, including forestries, reform, as well as fish migration problems and even resolutions to dentistry challenges – totally different spheres not only in terms of their topic, but also in terms of their priorities. The Prime Minister is making a major political mistake entering a jumble of 800 different tasks. So many tasks raised in so many different spheres – it is simply impossible to ensure quality management for it,” G. Landsbergis says. According to the Conservative party’s chairman, this unfinished plan should not even have been released by the cabinet – it is simply impossible to accomplish everything at once. “We hear for the fourth time now that a programme will be revealed and we will hear the Prime Minister’s priorities. Let me say this honestly – the implementation plan presented by the cabinet to their coalition partners should be hidden and not even shown to either their partners or the opposition, or the public. It must take quite the effort to create such a mess,” the Homeland Union – Lithuanian Christian Democrats leader stated. According to Landsbergis the project still does not have a clear vision. “A rise of several percent here or there is not an ambition, it is not a change. It is the imitation of work. We need a final clear statement from Prime Minister Saulius Skvernelis, what spheres and specific tasks are his priorities, where he will seek breakthroughs in the next four years. In my opinion these core tasks should be higher education reform, state owned enterprise reform, reduction of poverty and attracting investment, creating new jobs in the regions. It is unfortunate, but we do not see a clear vision or specific commitments in any of these spheres,” he summarised. 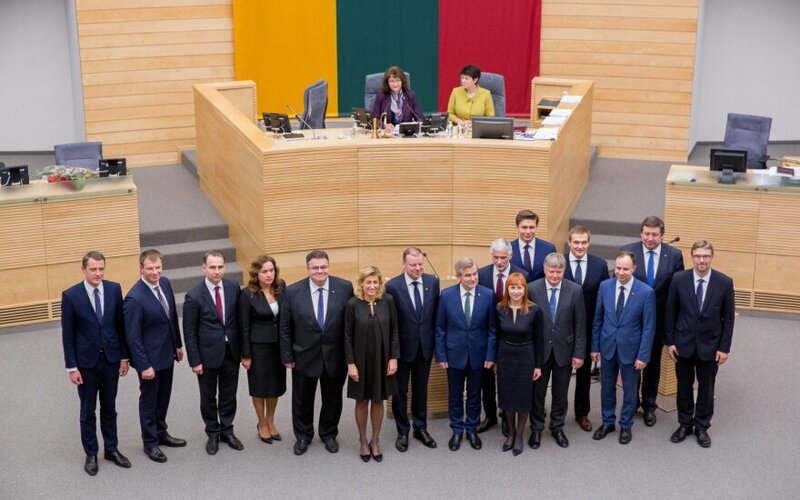 Will the Government have enough support in the Seimas for reforms?